Japanese flier sample. 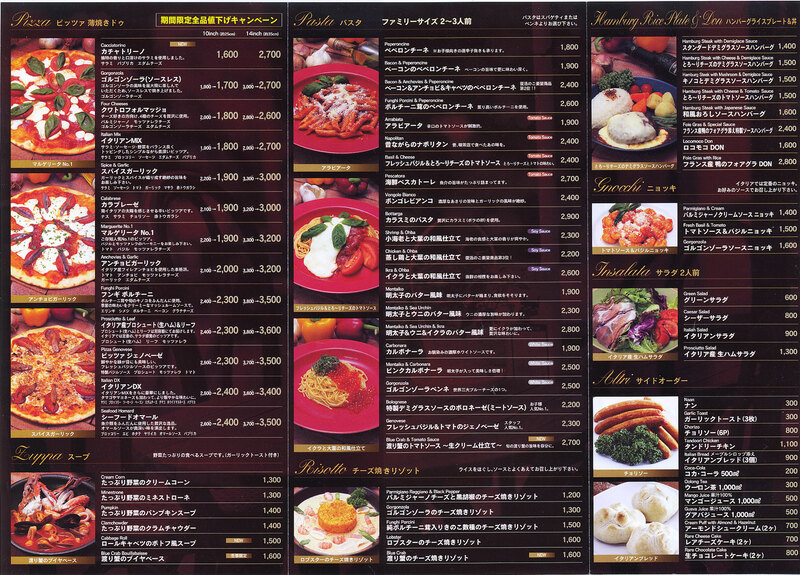 Pizza, pasta, hamburg rice plate,etc. 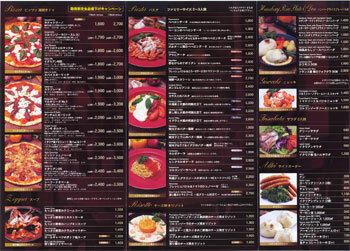 You noticed that the text is both vertical and horizontal. 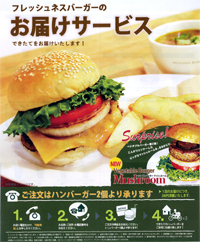 In Japan, you will see the flier like this. 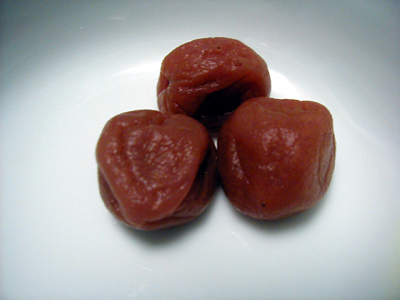 Pickled plums are Japanese traditional reserved food. It tastes sour but good for orexigenic. 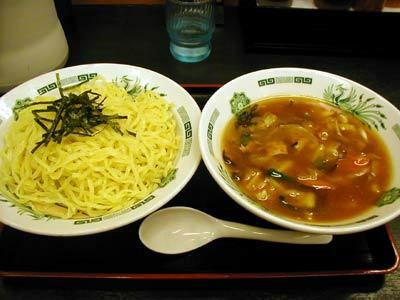 This food improve a body’s immune system and softening food poisoning too. 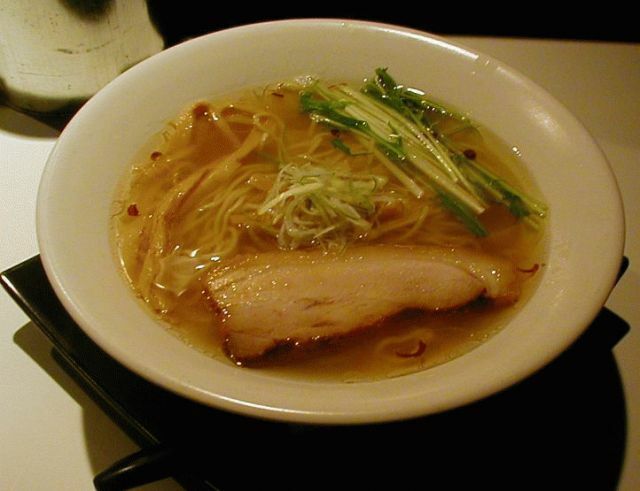 Japanese love “ramen” – Soup & noodle originated from China. 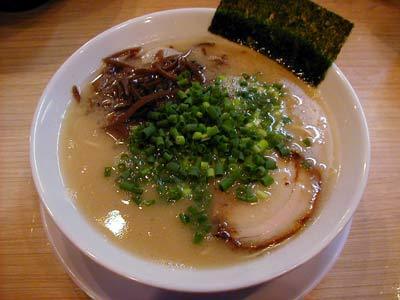 It is said that more than 84,000 ramen shops exist in Japan. 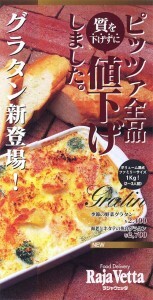 Each shop has unique recipe based on local ｔａｓｔｅ. 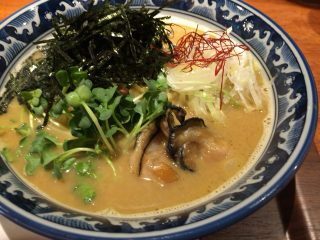 There are many “ramen fｒeak” writing blogs and rate ramen shops they visited.